When shopping for table tops and bases, it is important to ensure the correct sizing. A top too big, and the table will risk falling over. Too small, and sitting close up to the table becomes difficult. 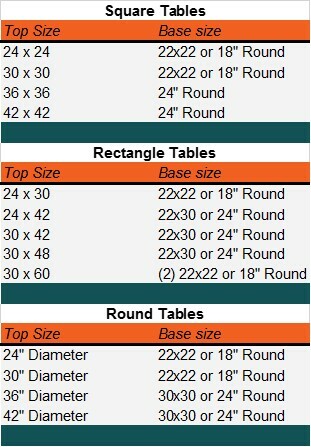 To assist, we've created this quick guide to help provide sizing recommendations for table top and base compatibility.